Ok. So Christmas is around the corner, though for some of us there’s still a lovely Thanksgiving dinner before the frantic season really makes itself felt. Christmas can often be the time when we give even more of ourselves to others. Thinking about how I’m going to be coping with it, I had an idea. I’m embarking on a 30 day campaign devoted to little actions I can take to help me focus on me and my needs so that I arrive to Christmas season full of energy and joy I can share with others. You can join me on Twitter @maketimecountuk and I hope you will! I’m relatively new to the tweeting world and it strikes me that this is something useful I can tweet about to encourage others to set some time for themselves too. 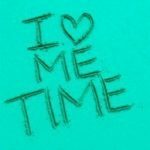 Starting tomorrow, I will be posting my own ‘me time’ actions both to help me be accountable for them and as possible ideas for others. Join in and let’s see if small ‘me time’ actions can make a big difference to how we feel in 30 days. PreviousPrevious post:Tall PoppyNextNext post:Second day of the year tends to be blue – Really?